Lynzie and I are gone to England so my friends are running the show! I'm so excited to welcome my friend Jennifer as a guest blogger today! Jennifer was my roomie when I went to England in 2013 and is one of my dearest friends. She blogs at Chickadee Manor. 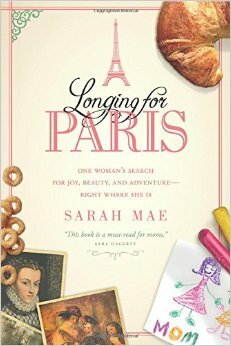 In Sarah Mae’s latest book, Longing For Paris, she writes about her longings to experience the beauty and culture of Paris and her search to find out if her dreams and longings are Biblical or simply selfish desires. As she explores the idea of longings we are presented with an amazing picture of God’s love for us and the love and intention He had when He formed each of us in our mothers' wombs. Many of us have stifled or sacrificed our dreams and longings along the way and yet these feelings and desires still surface again and again. Longing For Paris offers up practical ways that we can bring our longings into our everyday lives. While most of us don’t have the resources to travel the world with our families or drop our day to day existence to experience the exotic, we can nurture the individual longings that God has placed in our hearts. This book is an encouragement to be in communion with our God and to both cultivate the longings He has placed within us and to give those back to Him so that He is glorified in our lives. It is a call to appreciate our surroundings in the life stage we are currently in and to live our lives fully awake. We can choose to trust God with our dreams and longings because He is a loving Father who wants the best for us and who delights in us, especially when we are shining our lights brightly, being the people He designed us to be. I felt refreshed and inspired by Longing For Paris and felt that my perspective on life was that much brighter after being reminded of God’s care in uniquely creating each one of us. Sarah Mae encourages us to live authentically and to realize that nothing on earth will fully satisfy us because we were made for heaven in all of its perfection. The glimpses of beauty and wonder we see on earth remind of us of how wonderful our eternal home will be and that one day we will be completely fulfilled at last. Jen is happily married to Dwayne and together they have five sweet kiddos - two sons and three daughters. 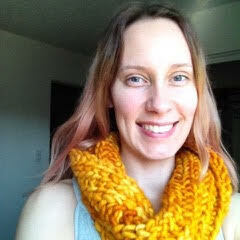 She hails from Canada’s Northwest Territories where they make a life enjoying the great outdoors, homeschooling, running a family business, and trying all sorts of creative pursuits. Her blog, Chickadee Manor, captures some of the fun and beauty in the world around her. This sounds like a delightful book! I especially liked this paragraph, "We can choose to trust God with our dreams and longings because He is a loving Father who wants the best for us and who delights in us, especially when we are shining our lights brightly, being the people He designed us to be." I guess you're familiar with Jesus Calling, by Sarah Young? I find it very encouraging. What's Your Favorite Publication Year?